Solar Pool Covers, also known as solar blankets, offer many benefits for you and your pool -- they are inexpensive, keep your pool water warm throughout the season, and make it possible to enjoy comfortable pool temperatures for weeks beyond the end of summer. 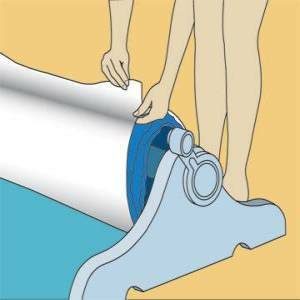 Removing and folding up your solar pool cover before each use, though, is definitely at two person job, and it can be an awkward, sloppy experience. With a Solar Pool Cover Reel, you can take the fuss out of using your solar pool cover. Our high quality, single person solar reels and equipment allow for easy removal of your in ground pool's solar pool cover. The patented bearings and pivoting cranking knob assure smooth operation for years to come. Our rugged bases are constructed of heavy duty materials that are light weight, but super strong and non-corroding. They are also U.V. inhibited to withstand the sun's harsh rays. 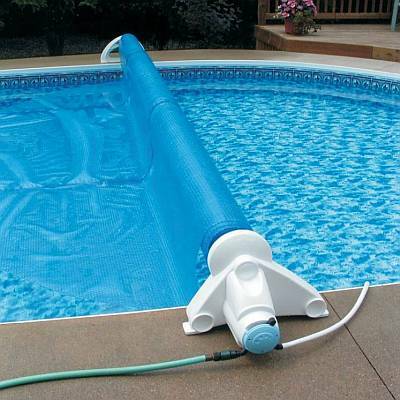 The super strong aluminum tubing that comes with our solar pool cover reels will not sag, and the telescoping design allows the reels to fit more than one size pool, giving you an added degree of flexibility. 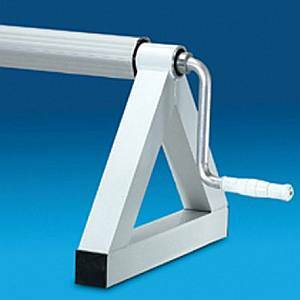 We carry a variety of residential as well as commercial rated solar pool cover reels. 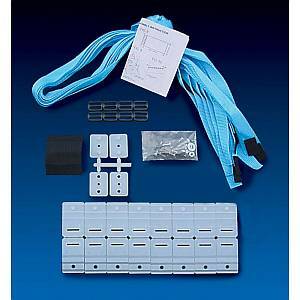 We also offer solar cover / reel accessories and attachment kits. 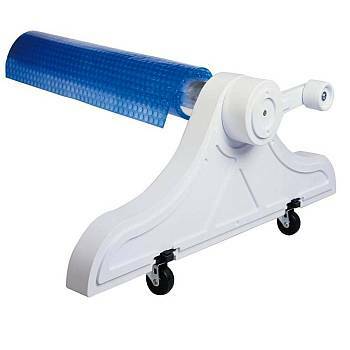 Our premium in ground pool solar cover reels will fit almost any shape pool, and they come complete with all the hardware necessary to attach the blanket to the reel. Some installation is required, but each reel comes with complete instructions.